God bless Frey’s Filter. Without it I would have spent another month SHAPED. 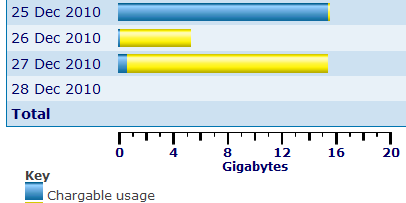 Note the Yellow segments of the download bar, they represent the “Unmetered Content” that telstra does not contribute to the monthly quota. So there’s a fresh new Steam rising over the horizon. Beta is ready and waiting for you. All you have to do for a sneak peak is open Steam, then go to: Settings > Account > Beta participation > CHANGE… and select UI Update then restart. So far, seems more responsive than the old Steam. Prettier in some respects, no theme selector though. The integration of different information into the games library is a nice touch. If you give it a go, let me know what you think? Spot any bargains? Post ’em here! I’ll lead off with US $7.49 for Grand Theft Auto IV. And I’m gonna need to dive into GTA IV multiplayer soon, they’re the only 9 achievements I have left to go once I get that magic 100% for singleplayer. What else have you spotted? Got the account back and all appears ok. No items lost and no stats reset. Though my whole friends list is gone, so please add the original fumbles01 again. If only I could track this C**T down!